Camping Sandaya Le Plein Air des Chênes är en camping i Clapiers, Hérault. Denna terrasscamping har platser med stängsel, med skugga och platser med lite skugga. Det finns möjlighet att hyra husbilar och bungalows. På campingen finns en lekplats, lekstuga och ett sportområde. Vem vill inte efter en hård dag slappna av i en jacuzzi. Campingen förfogar över en simanläggning, en utomhusbassäng och ett knattebad. Det finns också en vattenrutschbana. Denna inspektör gör varje år ett besök på Camping Sandaya Le Plein Air des Chênes och inspekterar campingen för ca 200 faciliteter och för andra förekommande punkter. Inspektören är en medarbetare från ACSI och arbetar inte för campingen. With ACSI the best ever value for money as we have a comfort pitch with toilet, shower and basin all on our pitch. The pools are a childs delight (and ours). A very good site all round. Arrived in our motorhome at 2pm only to find reception closed until 3pm!! Returned and had to join a long queue. Not many pitches for motorhomes, very uneven and difficult to access. Site mainly caters for static cabins. Toilet block was clean and plenty of hot water. Motorhome disposal point was at bottom of site and had a dodgy drive over grate which we decided not to use as we were in danger of grounding it.WiFi extremely expensive and not very good signal.Restaurant not open, but pizza takeaway available, Bar was open but very limited choice of only bottled beer and one white wine! Pitches were mainly uneven and sloping, set on sand, rock and tree roots. We were very mindful of where we walked to avoid tripping and falling. Very different to the description in the ACSI guide book which states pitches are on level ground. Fresh water was available but at an unacceptable distance from our pitch which made obtaining water difficult. The alternative was to get it from the taps at the washing-up sinks, which we felt was less than ideal. When I asked at reception about fresh water points the receptionist directed me to the motorhome dump point at the bottom of the site, a very long walk and steep climb up to the camping pitches with a full Aquaroll. There was a “grey water” disposal point actually on the pitch but strangely this was raised making it almost impossible to dispense liquids from our Waste-master. The chemical emptying point was a typical low sink arrangement found mounted on an external wall of the “sanitaires”, as found on most of the sites we visited however as the drain pipe was just a nominal 2” diameter as you would expect from a kitchen sink or hand basin. Therefore only liquids drained away leaving faeces and paper sitting there for days on end, creating a potential health hazard. There seems little point in having such a disposal point, installed so as not to function. This site is clearly set up more as a cabin hire with motorhome pitches only facility, completely unsuitable for touring caravans. I would definitely not recommend this site to anyone with a touring caravan as it is not geared up for this use, no matter what the information may say to the contrary. I spent 3 nights here, good pitches with lots of choice out of season and quiet with excellent toilet block. Tennis courts and swimming pool with a restaurant on site, good but a bit expensive. There are supermarkets fairly close and a bakers in Clapiers. The staff are well mannered and speak good English, even when telling you the extortionate price of the WiFi, although the coverage is very good. A pleasant place to stay and good for tourism. Very disappointed with this four star site. We arrived at the beginning of October and almost everything had closed down. On first impressions it looks very good but what an illusion, being the end of the season everything needed a good clean and sort out, not good. Staff were helpful and it is well placed to visit Montpellier and Nimes. Although there was still a month to go before closing, nearly all the facilities were closed. Absolutely no shopping available, and the onsite restaurant was only open for lunch. Toilet/showers were good, but the camping car aire was completely clogged with leaves and rubbish. The water point drain on the pitch was blocked, and the water from the tap dirty. Water from the toilet block was good though. Site is handy for visiting Montpellier, with a bus 800 metres away, and links with the excellent tram service. Beware the buses do not run after 8.30 pm! We had to use the Sat Nav to find the way back from the tram stop. This is listed as a luxurious campsite. Is it because a snack bar, restaurant and swimming pool make it so? The pitches are listed as level, the majority are not and they are difficult to get into. During our visit only 3 toilets were open for all of the tourers on site and by the end of the day they were in a poor hygienic condition. This is not a site for tourers but for static accommodation. Only go here if there is nowhere else to go! A really good site with an amazing swimming pool complex and friendly staff. We will return and for longer next time so we can see more of the area. Pitch was very narrow, no electricty, very near accessroad - rain causes river. Water not turned on but one of caravaners used tools to access. Toilet facilities completely unsupervised & not cleaned. Chemical toilet facility filthy & we used continental toilets to empty casettes. Party at static & fire hoses were used to clean barbecues. The upgraded sites with private showers were filthy from the outside - we did not consider using them. Exit road from our pitch had 130 degree turn just negotiable! Vill du boka campingen Camping Sandaya Le Plein Air des Chênes eller få mera information? Det går bra med nedanstående uppgifter eller via campingens webbsida. 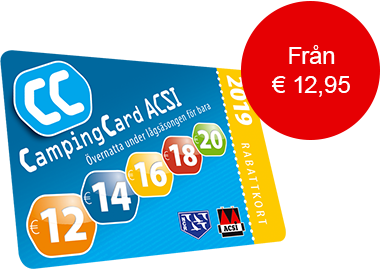 ACSI Eurocampings skickar din informationsförfrågan till "Camping Sandaya Le Plein Air des Chênes".